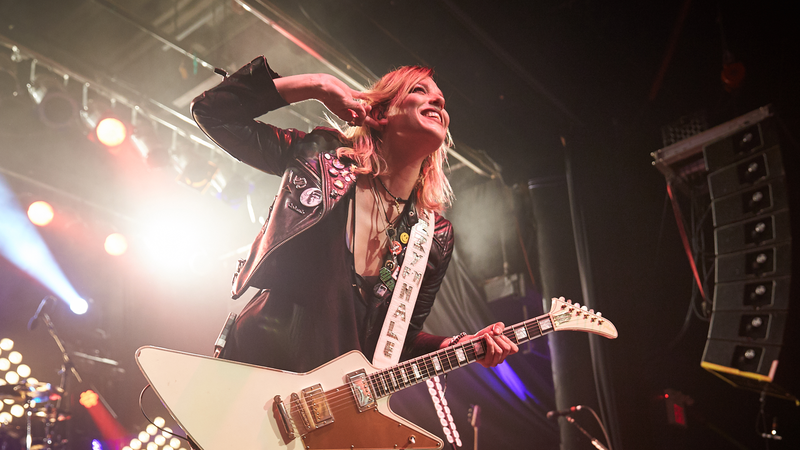 With a powerful force like Lzzy Hale's fronting Pennsylvania hard rock four-piece Halestorm, it makes total sense why the singer, songwriter, and musician would want to invite bands like Lita Ford and Dorothy out on tour with them. The major thing each of these groups have in common is that their core is a strong, female badass—strong enough to name their band's after. Lita Ford (of The Runaways fame) and Dorothy (an LA rock band who have been featured everywhere from Rolling Stone to the stage at Made in America Festival), were out on the road with Hale and her brother Arejay (drums and percussion), Joe Hottinger (guitar), and Josh Smith (bass) during the month of October. While this isn't the first time these bands have toured together, we're definitely hoping it's not the last. We caught the show in Toronto and snapped some pics while there. Check them out below!